HTC Desire 650 is an affordable phone with hi-res audio support | What Hi-Fi? 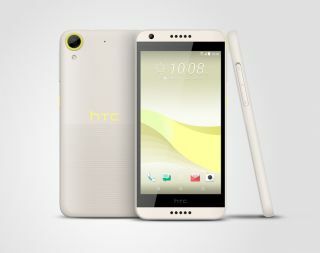 HTC has lifted the lid on the Desire 650, a mid-range 5in smartphone that comes equipped for hi-res audio. HTC was one of the first manufacturers to embrace hi-res audio on phones, and while it hasn't confirmed precisely what files the 'BoomSound' technology can handle here, last year's HTC 10 supported 24-bit/192kHz, so we'd assume the same. And if you're interested in using your phone for music, then you'll likely be glad to hear that, unlike an increasing number of phones, such as the iPhone 7, it still has a 3.5mm headphone jack. The Desire 650 runs Android 6.0 Marshmallow, has a 5in 720p HD screen, and uses the Qualcomm Snapdragon 400 chip, so performance will be a far cry from a top-of-the-range model. It also boasts a 1.6GHz processor and a fairly measly 16GB of storage, which won't take many hi-res audio files. There's also a 13MP main camera and a 5MP front-facer for selfies and video calls. The HTC Desire 650 will go on sale in February in dark blue and lime colour schemes. There's no word on a price, but we'd expect it to be fairly affordable.